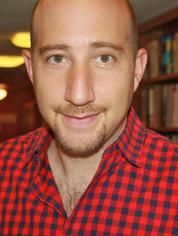 Aaron Hamburger was awarded the Rome Prize by the American Academy of Arts and Letters for his short story collection THE VIEW FROM STALIN'S HEAD (Random House). His next book, a novel titled FAITH FOR BEGINNERS (Random House), was nominated for a Lambda Literary Award. His writing has appeared in The New York Times, The Washington Post, The Chicago Tribune, Poets & Writers, Tin House, Subtropics, Details, Michigan Quarterly Review, Boulevard, and The Village Voice. He has received fellowships from the Edward F. Albee Foundation and the Civitella Ranieri Foundation in Umbria, Italy, as well as residencies from Yaddo and Djerassi. He has also taught writing at Columbia University, NYU, the Stonecoast MFA Program, and the George Washington University. 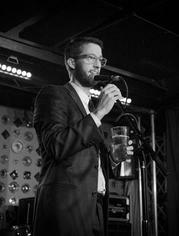 Carson Vaughan is a freelance writer from central Nebraska. His work has appeared or is forthcoming in The New York Times, The Paris Review, USA TODAY, The Chicago Tribune, National Geographic, Smithsonian, Slate, Salon, Audubon, Variety and many others. He has also published fiction in Saturday Evening Post, Bluestem, Midwestern Gothic and Paper Darts, and served as the communications director for a United States Senate campaign in Nebraska. Vaughan has been freelancing since his undergraduate years at the University of Nebraska-Lincoln, where he studied journalism (news-editorial) and English. He later completed his Master of Fine Arts degree in creative nonfiction writing at the University of North Carolina Wilmington, where he taught several undergraduate creative writing courses and served as the nonfiction editor of Ecotone, UNCW’s award-winning literary journal. Vaughan is also the founder and former editor-in-chief of the Dailyer Nebraskan, UNL’s first and only satirical news source. Joanna C. Valente is a human who lives in Brooklyn, New York. She is the author of Sirs & Madams (Aldrich Press, 2014), The Gods Are Dead (Deadly Chaps Press, 2015), Marys of the Sea (forthcoming 2016, ELJ Publications) & Xenos (forthcoming 2017, Agape Editions). She received her MFA in writing at Sarah Lawrence College. 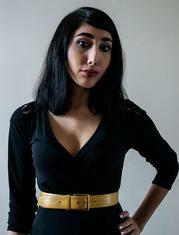 She is also the founder of Yes, Poetry, as well as the chief editor for Luna Luna Magazine, where she curates personal essays, interviews, and writes about sexual assault, abortion, and Tarot. Some of her writing has appeared in Prelude, The Atlas Review, The Feminist Wire, The Huffington Post, Columbia Journal, and elsewhere. She has lead workshops at Brooklyn Poets. joannavalente.com. Winner: Casey Whitworth, "You and Me and Zvonimir"
First Runner-up: Jeremy Griffin, "Oceanography"
Second Runner-up: Meiloni Erickson, "Ajos and Hojas"
Winner: Kara Mae Brown, "A Touch of Sugar on the Blood"
Second Runner-up: Courtney Santo, "The Werther Effect"
Winner: Jenny Irizary, "If You Want More Proof She's Not Puerto Rican"
First Runner-up: Sarah Levine, "I Hear a Goose in the Sky Say Again"
Second Runner-up: Barbara Ungar "Quoth the Queane"